Like everyone else who bought an Apple Watch Series 3 with cellular on launch day, I’ve been using LTE on the Verizon account for free. Apple struck a deal with all four major carriers to offer a three-month trial period for new users, and the carriers even sweetened the idea by waiving their activation fee, which can be as high as $30. 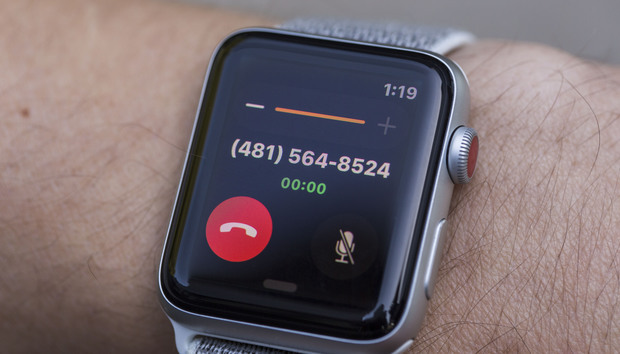 Suspend my Apple Watch service for up to 90 days at a time. This will cost me $10 a month, so that’s not really an option. De-activate the watch completely. That will wipe it from my account and bill. However, I will need to pay a $25 activation fee once I decide to reinstate service. That’s a recurring change. That means Verizon will essentially charge me for two and half months service every time I turn it off and on again. That’s $5 more than I would be paying if I just kept it connected for the whole year. Even if I used it for half a year and only reconnected it twice, that’s $110, a savings of $10 over what I would pay if I had kept it connected all year. That’s less than a dollar a month for those keeping score. Presumably the same is true for all four carriers, but I only spoke with Verizon. To make matters worse, the rep on the phone also warned me about potential issues that could arise when I reactivated my watch. She also asked me where I had bought the watch, but when I questioned why that would matter given the Apple Watch’s eSIM, she said it didn’t. I asked if I could keep the watch on my account but remove the number, since Verizon technically charges $5 for the device and $5 for the accompanying NumberShare service. However, Verizon can’t (or won’t) separate the two. It’s all or nothing. When I bought my Apple Watch, I assumed I would be able to start and stop service as needed. As a companion device, there are going to be months when I won’t be using my Apple Watch’s cellular connection at all, but based on Verizon’s terms of service, I’m going to keep paying whether I’m using it or not. The tagline on the Apple Watch Series 3 with cellular page is “Freedom calls.” As they say, freedom isn’t free. And it often comes with hidden fees.